Feb. 6, 2017 | LITTLE ROCK — Head and neck surgeon Chelsey Warmack Smith, M.D., has joined the University of Arkansas for Medical Sciences (UAMS). She sees patients in the Head and Neck Cancer Clinic in the UAMS Winthrop P. Rockefeller Cancer Institute and the Ear, Nose and Throat Clinic in the UAMS Jackson T. Stephens Spine & Neurosciences Institute. 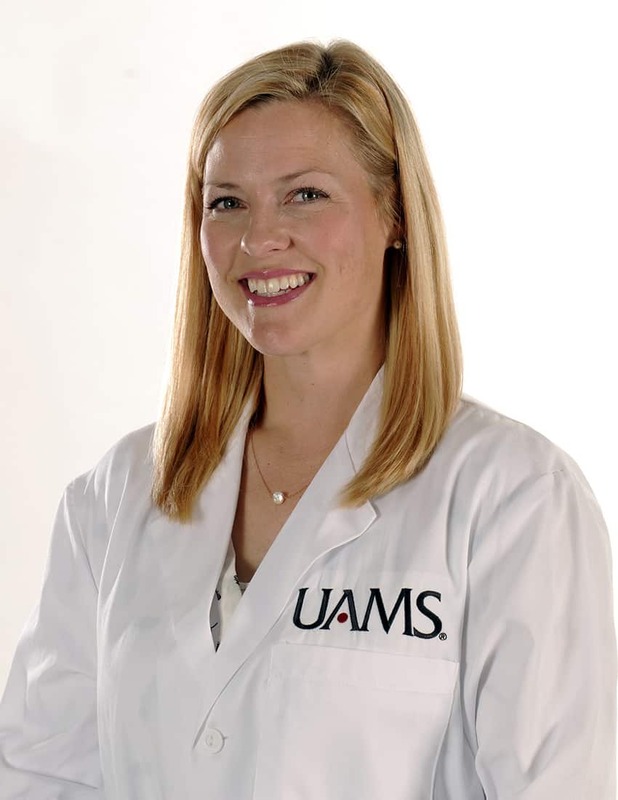 Smith is an assistant professor in the UAMS College of Medicine Department of Otolaryngology – Head and Neck Surgery. Her specialties include vascular anomalies, facial pain, sinus disease, throat disorders, allergies, head/neck cancer, and sleep disorders. She completed her undergraduate at the University of Arkansas at Fayetteville where she played volleyball for the Lady Razorbacks. After earning her medical degree from the UAMS College of Medicine, Smith completed her residency and served as assistant attending physician of otolaryngology – head and neck surgery at the University of Oklahoma Health Sciences Center. She is a member of the American Academy of Otolaryngology – Head and Neck Surgery and has served on its national committees for plastic and reconstructive surgery and media and public relations.